While protests, boycotts, and other forms of activism have always been a threat to the private sector, recent developments in social media technology and political trends have uncovered a series of evolving risks. Traditional activism towards the private sector often involved the targeting of businesses due to practices deemed to be unethical or opposed to certain political or social movements. In recent years, activists and political movements have expanded their methods of protest in a series of evolving ways, which can have a significant impact on private enterprises. As research on the operations of any businesses becomes easier through various online resources, in addition to the ease with which findings can be shared on social media, potential links between private businesses and controversial governments or policies can be identified by a growing number of individuals. This enables smaller groups to easily find businesses that they can present as opposed to niche causes, dramatically increasing the number of companies potentially targeted. Similarly, the private comments of employees or individuals associated with businesses also play a more significant role in catalyzing protests than in the past. Controversial statements can often lead to the company being associated with a wide variety of political positions not representing the values of the business, some of which may spark the interest of various activist groups. It will focus on physical security threats which arise from distorted, negative images of brands, which can be mitigated by monitoring online trends, attitudes, and corporate reputations. Increasingly, activists target companies due to controversial actions of associated governments, either in the company’s country of origin or in a country of operation, despite limited connections between the business and the controversial actions. One catalyst for these types of risks is the ease with which activist groups can research and disseminate information online regarding an organization’s associations and operations. Through social media and rudimentary online researching capabilities, activists are able to quickly build a list of companies deemed to be linked with controversial governments who are then targeted for protests. Additionally, activists, particularly in young or radical groups, may not research with diligence to understand the extent of the association between the private company and the government in question. The decision to target private companies, instead of government buildings, is often one of convenience. Private facilities are far less secure and easier to identify than government offices. Protesting a business that may have multiple offices or stores with minimal security is typically more accessible than targeting embassies or consulates, which already have established security structures and are typically better equipped to handle demonstrations. Activists often perceive protesting against companies based on the actions of governments in areas of operation as a way of putting pressure on the targeted government indirectly. Especially in countries reliant on foreign investment, protesters aim to threaten companies through physical disruptions and boycotts in an attempt to affect the economic situation of the country and compel the government to change its policies. Given the multitude of grievances against any one government, these protests can follow seemingly random trends which necessitate a deep understanding and close tracking in order to adequately predict threats and risks before they manifest. Even if a company is not involved in a controversy, it is important to monitor brand reputations, particularly if the company can be, even loosely or falsely, associated with controversial government policies. Since Turkish military operations in Syria began to expand in January 2018, there has been an uptick in anti-Turkish sentiment within Kurdish and Anarchist communities across Europe. This sentiment has manifested in mass protests, most notably in Germany, as well as vandalism and incendiary attacks on Turkish government buildings, including embassies and consulates across Europe. However, pro-Kurdish activists have not limited attacks to government institutions. Activists have targeted multiple private companies linked to or seen to cooperate with Turkey. For example, on March 11, a mass brawl broke out in Dusseldorf Airport, Germany as demonstrators protesting against a Turkish-based airline clashed with passengers. On April 10, activists planted and detonated a bomb outside of a bank with links to Turkey in Bologna, Italy. Such protests were facilitated by online groups which would aggregate information on companies that were deemed to somehow support Turkish operations in Syria and disseminate findings to protesters in order to encourage attacks and demonstrations. Due to the increasing use of social media and online news, the opinions of a company’s senior leadership are more available and under closer inspection than in the past. This opens private businesses up to scrutiny for opinions or political positions held and expressed by employees, which potentially do not reflect the official values of the company. As such, the personal opinions of company leaders and lower-level employees alike can overshadow or even undermine company policy. Focusing on quotes from employees or controversial sponsorship links allows more casual observers and activists to easily find targets for protests and can often quickly galvanize public outrage. Similarly, due to social media trends, political positions of individuals linked to or sponsoring particular organizations can quickly encourage negative sentiments and widen the scope of protest movements, especially when the subject of the controversy is particularly sensitive. Such risks require rapid detection in order to fully formulate a public relations strategy which can quickly solve the issues and reframe the reputation of the company along its actual values. In 2017, controversy arose in the US sporting world surrounding a movement which saw many players kneel during the national anthem in protest of various policies deemed to negatively impact African-Americans. This trend gained significant attention nationwide and given the extensive corporate sponsorship in the US sports industry, quickly led to calls, from both sides, to target large businesses over their stances on the issue, either official or unofficial. One sponsor’s CEO reportedly expressed his disappointment in a league’s response to the players’ protest on social media and subsequently reported a decrease in quarterly sales. The CEO linked the poor sales to the league’s public image. Another company reportedly faced significant physical and online protests for refusing to comment on the controversy. In this case, companies were boycotted for sponsoring the league, as well as for their position on the kneeling protest, whether it was an official position or that of a prominent employee. The case demonstrates the risks which can be mitigated by paying particular attention to local, regional, and international political and social trends, as well as the public image of private businesses with links to any controversy. Particularly, it is crucial that companies not only see the public image they create but also how it appears in the eyes of the consumer, especially during times of political sensitivity. Boycotting allows for protesters to demonstrate their grievances in a direct way and is increasingly common across the political spectrum, due to its relative ease, wide legality, and potential impact. Boycotts offer activists an easily organized form of protest, in which results are often less tangible than counting the numbers attending a rally. This allows activists to avoid the possibility of poorly attended demonstrations, which often give the impression of the grievance being a niche cause or lacking in support. Physical protests are becoming easier to organize via social media, spreading details far beyond typical activist circles. That said, protests can vary significantly both in size and nature. Companies with multiple locations or offices may find protests less well attended but affecting a larger number of offices or stores. Conversely, companies with well-known central offices or locations may witness protests with significant turnout outside these locations, while smaller or peripheral locations remain unaffected. Spray painting or other means of vandalizing a physical company asset is often intimidating for employees, especially if it involves or threatens violence. Increasingly in southern and central Europe, as well as South America, vandals use Molotov cocktails or other incendiary devices, which, while intimidating, tend to only cause structural damage. These attacks can often be difficult to prevent completely, however, typically occur at night. On October 21, Hamas officially claimed responsibility for building a 1.7km tunnel which was uncovered in Israeli territory on October 7. The tunnel extended from the Gaza Strip town of Khan Younis to the vicinity of the Israeli community of Ein Hashloshah, and was meant to transfer Hamas militants into Israeli territory for the purpose of staging a mass-casualty attack or kidnapping. The claiming of the tunnel by Hamas comes during a period of mounting economic pressure against its Gaza-based government as a result of the closure of the Rafah border crossing with Egypt, and the destruction of over 90 percent of the smuggling tunnels between Egypt and Gaza by the Egyptian military. In September 2013, IDF Southern Command chief Sami Turgeman revealed that Israel had sent a delegation to Cairo in an effort to convince the Egyptian military to ease pressure on the Gaza Strip. Turgeman cited Israeli concerns that Hamas’ increasing isolation could lead to a collapse of a ceasefire with the IDF which has been in place since the conclusion of Operation Pillar of Defense in November 2012. 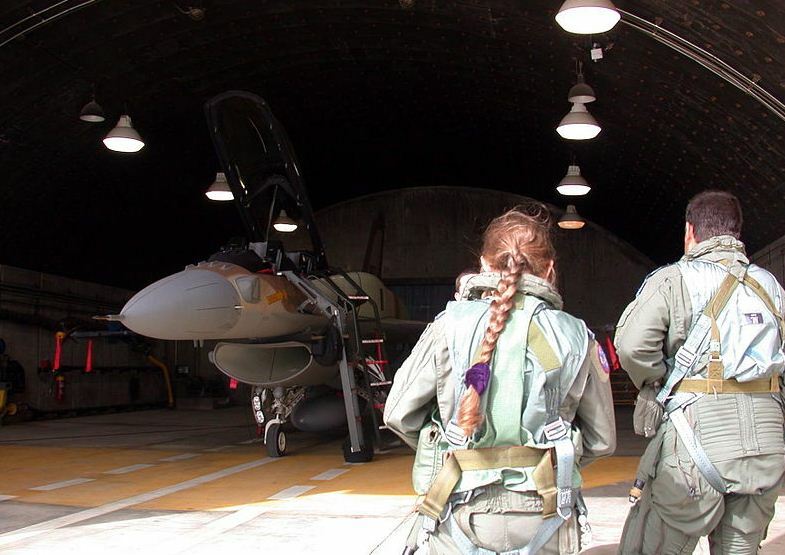 The IDF is reportedly concerned that such isolation would weaken the ability of Hamas’ security forces to prevent rocket fire by fringe extremist groups, or that Hamas’ own military wing would resort to an escalation with Israel in an act of desperation. Following the uncovering of the tunnel on October 7, the IDF abruptly halted recently-resumed shipments of concrete to the Gaza Strip, while Palestinian residents claimed to have received SMS messages from the IDF accusing Hamas of ignoring the dire economic conditions in favor of building combat infrastructure. 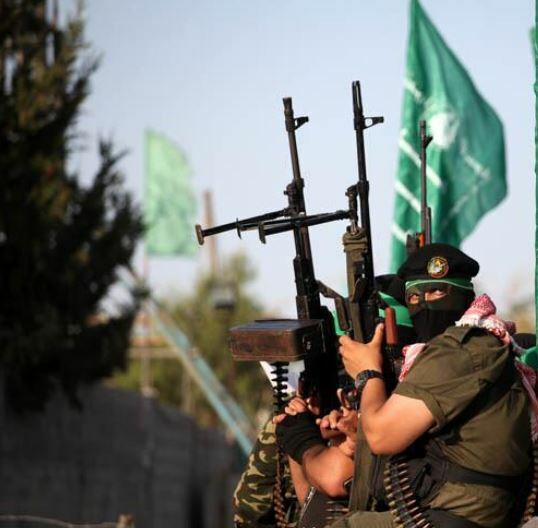 In addition, an increase in IDF activity has been noted in the Gaza Strip border area, including limited penetrations and the uncovering of improvised explosive devices meant to target border patrols. The month of March 2013 has witnessed an increase in tensions between local Tunisian Salafist networks, the newly formed government of P.M. Laarayedh, and the country’s secular/liberal societal factions. 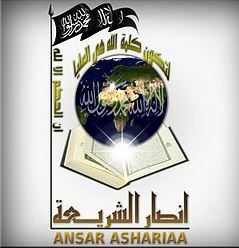 On March 26, Ansar al-Sharia in Tunisia (AST) issued a warning on social media towards P.M. Laarayedh, after he condemned Tunisia’s Salafist minority as responsible for recent violence in an interview with French media that same day. The post featured a threat to topple the government from Abu Iyad al-Tunisi, a prominent jihadist founder of AST suspected of orchestrating the September 11, 2012 riots at the U.S. Embassy in Tunis. Following those riots, Abu Iyad was targeted for arrest at the al-Fatah Mosque in Tunis, but escaped after his supporters confronted security forces. 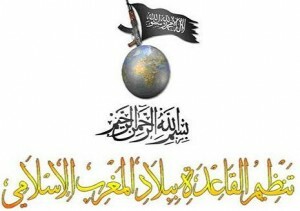 Ansar al-Sharia in Tunisia has recently threatened the government. Iyad’s warning came days after al-Qaeda in the Islamic Maghreb (AQIM), issued a new message calling on jihadists across the region to to join its ranks and take up arms against French assets as well as Western-sympathetic local governments in the Arab World. The message included a specific call towards Ansar al-Sharia members in Tunisia, which was reportedly received positively by the group. On March 27, the Tunisian government announced that it would take measures to curb the flow of Tunisian jihadists to the conflict in Syria, citing concerns over their return to the country to engage in militant activity. 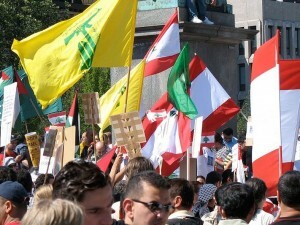 Reports indicate that thousands of Tunisians are currently participating in both the Syrian and Malian conflict. 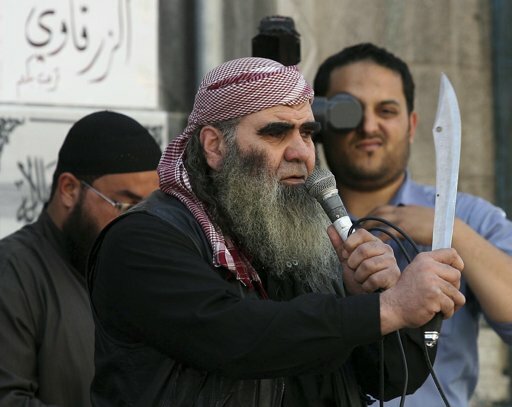 In Syria, Tunisian nationals are estimated to comprise 30-40 percent of all foreign fighters. The majority of Tunisian jihadists fighting in Syria hail from outlying communities in the west and south of the country, primarily the town of Ben Guerdane, located near the Libyan border. Multiple Tunisian nationals also participated in a deadly raid against Algeria’s In Amenas gas facility in January 2013. Following the 2010-11 Tunisian revolution, Salafist-jihadist elements have increased their activity substantially. 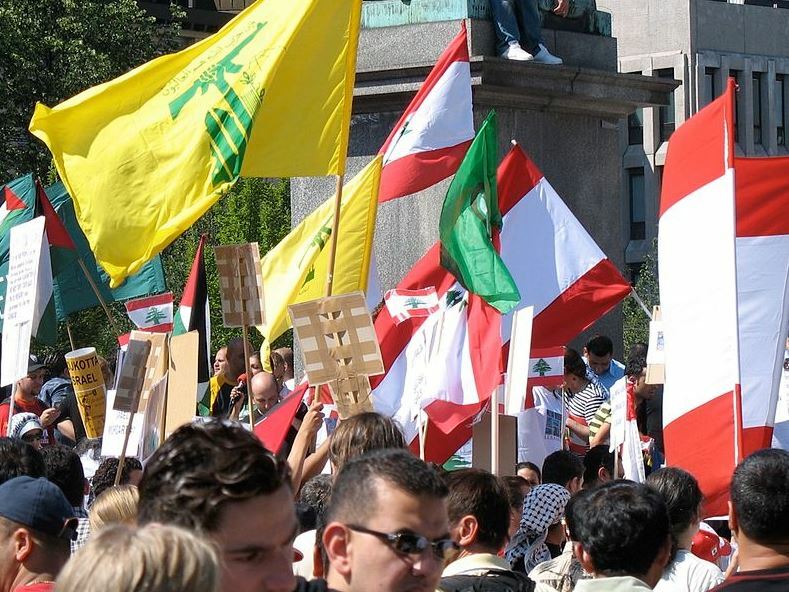 Following the ousting of the Ben Ali regime, previously strict anti-Islamist policing policies were forgone, while the ensuing security vacuum enabled the establishment of training camps and weapons smuggling networks in outlying areas. Training camps near the Libyan and Algerian borders are currently meant to facilitate the indoctrination and transfer of Tunisian nationals to conflicts elsewhere in the region, including in Syria, Mali, and Algeria. By now the name Mokhtar Belmokhtar is familiar to anyone watching security-related events unfold in Saharan Africa. Since a January 16 raid executed by his “Masked Brigade” in Algeria, which led to the deaths of dozens of hostages, the one-eyed smuggler extraordinaire’s picture has been broadcast across TV and computer screens worldwide. As Western policymakers continue to adjust their strategy in the war on terror, it is important to understand Belmokhtar’s accomplishment in its true context: a victory of a thriving jihadist operational network. As it turns out, the Masked Brigade’s attack was not, as reports originally indicated, a reprisal for French intervention in northern Mali. In fact, Western security officials recently stated that the attack was planned before January 11, when France intervened. This instead was simply intended to be a standard kidnap-and-ransom mission – a fundraiser and terrorist attack rolled into one. However, northern Mali does play a role in the attack’s execution. The region has become a sanctuary for militants from Nigeria to Somalia who need free range to learn from experienced veterans of Afghanistan, Iraq and elsewhere. Belmokhtar’s men trained for and planned their attack in northern Mali. They raised funds by ransoming kidnap victims and smuggling drugs, as well as Belmokhtar’s trademark product, Marlboro cigarettes. They also smuggled fighters and weapons, many of which came from the caches of Libya’s former dictator, Moammar Ghaddafi. Over the past four years, Benjamin Netanyahu has succeeded in propelling the Iranian threat into the forefront in both Israel and around the world. The crisis over Tehran’s nuclear program now overshadows potentially crippling political and diplomatic issues in Israel, such as growing economic disparity and the stalled peace process with the Palestinians. Yet, Netanyahu has failed to convince the Israeli public that Iran’s nuclear program must be stopped- or delayed- at all costs. 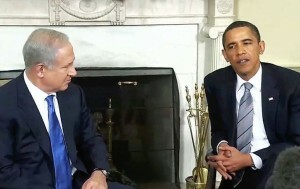 Benjamin Netanyahu has failed in convincing Israelis of the need to delay Iran’s nuclear program, even without help from the United States. A recent poll conducted by Tel Aviv University showed that only 27% of Jewish Israelis support a unilateral strike by their government on Iranian nuclear facilities. Those results come amidst an ongoing chorus of criticism against such preventative action from Israel’s most distinguished ex-military chiefs and politicians, including President Shimon Peres. To garner this much needed public support for such a crucial decision, Netanyahu must stop speaking to Israelis’ hearts and minds on the Iranian threat, and start speaking to their wallets. 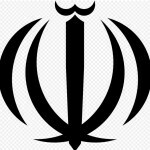 Intelligence Analysis: Who will fight for Iran’s nuclear program? Jalili is an iconic figure, whose position as the head of Iran’s Supreme National Security Council also affords him the role of chief negotiator for Iran’s contentious nuclear program. Amidst a deadlock in negotiations and a rehashing of threatening rhetoric, Jalili’s visit was meant to remind the Israelis that Iran’s proxies on Israel’s northern doorstep remain ready and willing to plunge the region into chaos if Israel strikes Iran’s nuclear facilities. It appears however, that Iran’s allies in the eastern Mediterranean may not be as keen about going to war for the ayatollahs as Tehran would like – and the Israelis know it. Iran has continued its nuclear progress despite sanctions. The latest bloodshed in Cairo underscores worrying trends and emerging realities regarding Egypt’s internal security and political future. 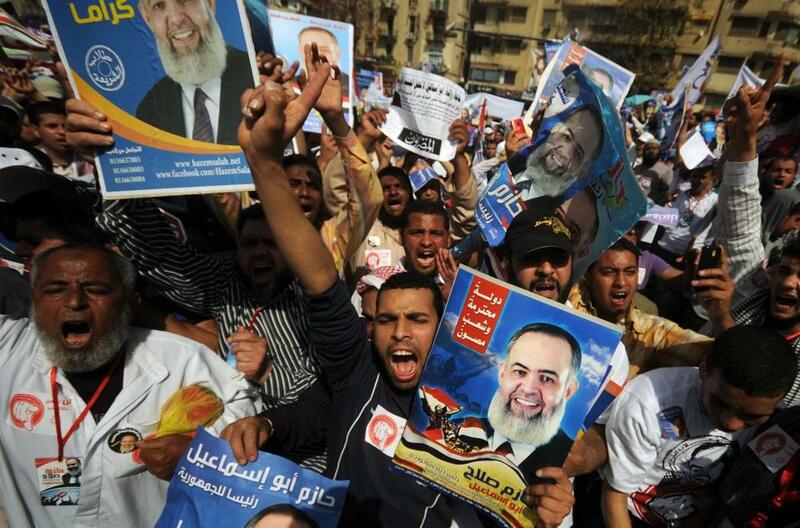 The recent clashes in the vicinity of Cairo’s Abbasseya Square illustrate the readiness of prominent political groups to forcefully impose their views, demands, and ideologies as they battle for the country’s new identity. Sadly for Egypt, this process has just begun and is not likely to end anytime soon; indeed, the bloody volatility in Egypt has not subsided since the events of January 2011. Under these circumstances – from a security point of view – what is most important to note here is how the volatile political situation directly translates into an erosion of the security condition on the ground. Violence in downtown Cairo is often centered on political disputes, involving opposing factions, who are more prone to resolve their differences by force, as they believe this the most optimum course of action to achieve their goals. Hey Buddy!, I found this information for you: "Clashing for the Future of Egypt". Here is the website link: https://www.max-security.com/reports/clashing-for-the-future-of-egypt/. Thank you.